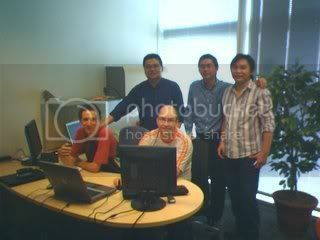 Asia-Pacific group, my "sweet" hubby with his colleagues (he's got the sweetest smile, isn't it? :)). with one of his colleagues and this is during their rehearsal today. More pics and video from the phils.